After the early morning flurry of getting the older two out the door and onto the bus, I reached into the refrigerator and gingerly slid out the cool, glass baking dish covered with a layer of plastic wrap and tinfoil. It was Sophia’s birthday and I was dropping off cupcakes for her class. The night before, I baked two rounds of cupcakes involving multiple trips to the store. In the end I had a hot kitchen, twenty-four mini cupcakes (for school) and six large (for home) all topped with blue icing and white sparkling sprinkles. I planned to drive them to school hoping to save her the possible embarrassment of dropping them on the bus or on her way down the hall of the new school where she was only just beginning to settle-in. The twins were two years old. Picture that, if you will, two two-year-old boys swirling at my feet. We had just moved into a new, old farm house and were living in a sea of chaos. It was a miracle I made it to the van with the twins and cupcakes unscathed. After buckling everyone in, I drove cautiously on a mission to deliver birthday happiness and cheer. I wanted my daughter to feel special, no matter how much effort it took. Parking in the bus circle, I left the twins buckled in the van and approached the locked door, cupcakes in hand. After being buzzed in, I chatted with the secretary and watched as she tagged the glass dish with a post-it note and called down to my daughter’s classroom. Mission complete. I sighed with relief and drove home. In the afternoon I waited happily for the bus. My daughter got off and crossed the street wearing a paper Happy Birthday crown. “Did you get the cupcakes,” I asked, all smiles. “Why did you only send six?” she asked squinting up at me quizzically. “Why did you only send six cupcakes?” she repeated. “There were only six,” she said. Standing in the driveway, it dawned on me. I grabbed the wrong dish. 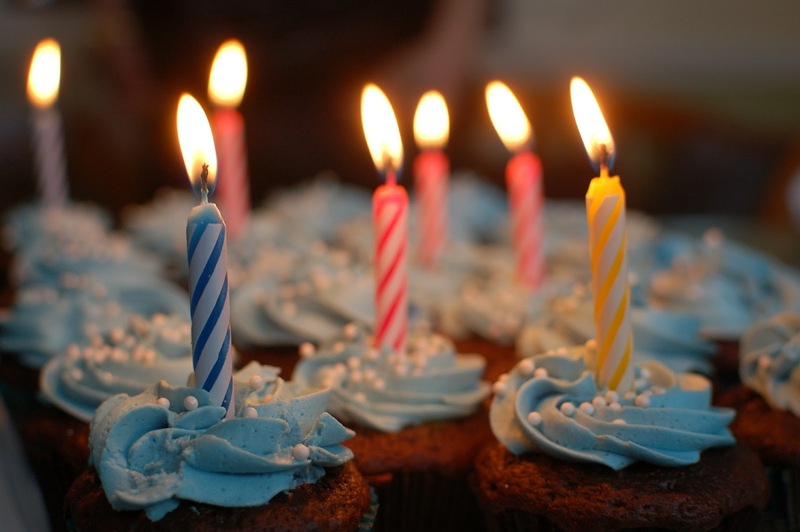 There were two glass dishes in the refrigerator, both covered with tinfoil, one held the twenty-four mini cupcakes and the other held the six large. I grabbed the smaller of the two dishes and in the flurry of morning and my considerable effort to get her first birthday at a new school right, I messed up. She had gone to the office to pick up the dish and, walking back to the classroom, realized my mistake. Entering the room, she told the teacher, “There’s only six cupcakes.” Her teacher took things in stride and divided the six among 22 students, cutting each cake into quarters. I was mortified – my daughter, the new girl at school, embarrassed by her wacky Mom. My daughter was fine, but it took me awhile to get over my mistake. We joked about it immediately - how ridiculous to send in six cupcakes for a class of twenty-two students. I sent an email to the teacher apologizing and making it clear I wasn’t the kind of mom who thought six cupcakes would cover the situation. Those cupcakes, baked and eaten some two years ago, come up again from time to time. In our family, they’re the epitome of an accidental, public gaffe. In such situations, there’s nothing you can do but grin and bear it and hope maybe someone, somewhere, ends up happy despite your error. I thought of the cupcakes again this morning as I drove a van full of kids to a friend’s house. Sophia sat in the front seat beside me and I held her hand, rubbed her back and worried I’d fail her in any number of public or private ways. I so want to get it right where my kids are concerned, sometimes I try so hard a mistake is inevitable. But, the cupcake mistake helps me remember mistakes can be gifts. Every time the kids and I relive my foolishness, we create a common language for the kind of things that happen in life no matter how hard you try and we practice the kind of humor and humility necessary to keep going. In other words, we make space for our humanity together. Oh, and also, we laugh a lot. Only 15 spaces left! 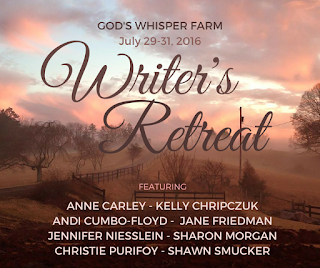 I'm super excited to be joining with Andi Cumbo-Floyd and Shawn Smucker to organize a weekend writer's retreat this summer at God's Whisper Farm in the beautiful mountains of Virginia. Visit Andi's website for more info! "But, the cupcake mistake helps me remember mistakes can be gifts." What a great way to look at it, Kelly, and to laugh a lot. :) Thanks for sharing and helping us to see that mistakes don't define us, but we can learn from them. Blessings to you! Kind of like the 2 hour trip to Pizza Hut in Michigan toPizza Hut that resulted in a bag of potato chips and a 2 liter coke. Good for you that you're turning the gaffe into family folk lore instead of burying it somewhere in a pile of shame. There's nothing more beautiful to me than the sound of my kids' laughter. Oh, I've done things like this too. So embarrassing and yet you have to laugh at yourself. :) Thanks for sharing a piece of your humanity, Kelly. We're all more alike than we are different. Kelly, a beautiful story to remind us that mistakes can often be gifts in disguise. Thank you for the reminder to not take ourselves too seriously and to laugh often. Blessings! What a story and definitely one for the books. It really is all you can do, tell and retell it with laughter. Always laughter.